Unsure what to buy a friend or relative for a gift? 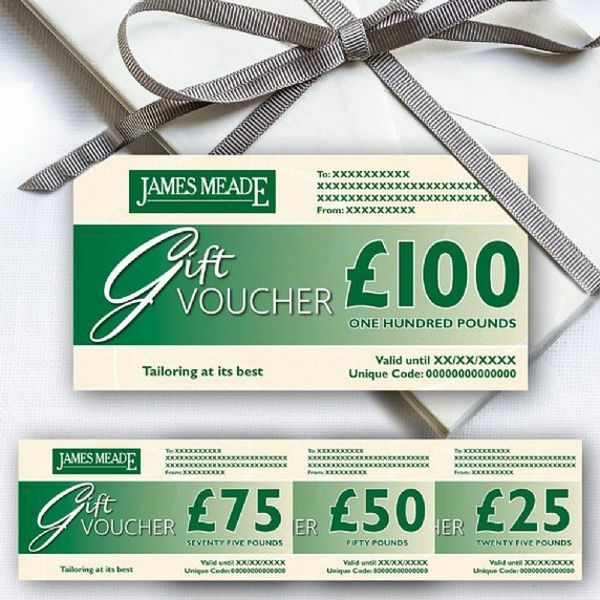 James Meade gift vouchers are the perfect solution. Gift vouchers are available to purchase online in the following denominations: £25, £50, £75 or £100.